The wonderful Ouessant sheep is a rare breed of heritage sheep originally from the island of Ouessant in Brittany. Ouessants are renowned for their character, their hardiness and for their status as the smallest naturally occurring breed of sheep in the world. The Ouessant Sheep Society was formed by a group of like minded breeders and enthusiasts in February 2005 and has since grown to include over 100 flocks across the UK. The Society exists to protect, promote and improve the Ouessant breed, providing members with information and advice on the care and welfare of Ouessants, and representing the interests of owners and their sheep in the UK and abroad. Members have access to a wide range of Society resources, including the flock book register of all pedigree Ouessants in the UK, advice on care and welfare, discussion forums, regional events and the ability to advertise sheep for sale or hire. The Isle of Ouessant, off the coast of Brittany, is swept by the full force of Atlantic weather, and its hardy sheep adapted to survive in all weathers on poor grazing. As a result, the Ouessant is the smallest recognized breed of sheep in the world, with a ram’s shoulder height up to 49cm and a ewe’s up to 46cm (around 18 inches). Ouessant sheep are intelligent, inquisitive, gentle and full of character. 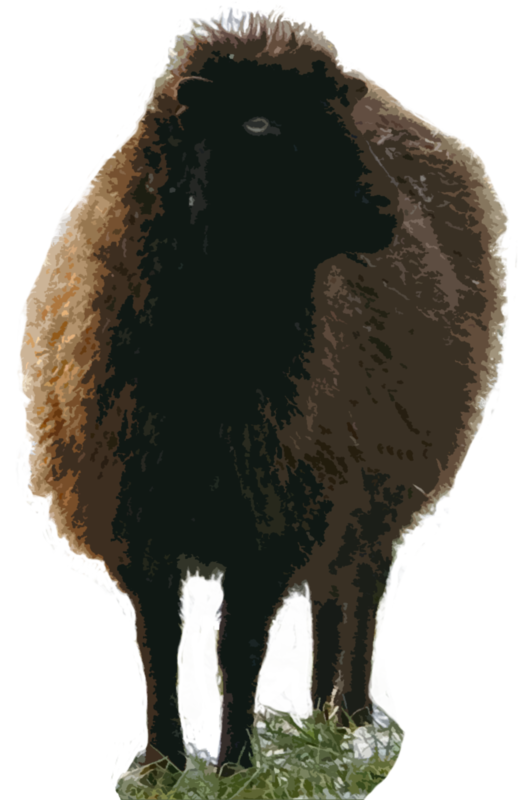 The Ouessant sheep carries a thick fleece of long wool with a dense undercoat. Sailors and visitors to Ouessant noted its peculiar small sheep as long ago as 1754. 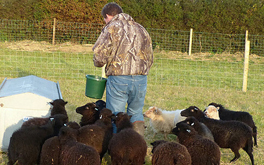 Ouessants - tiny sheep with huge characters - are the ideal choice for first-time sheep-keepers. Their small size and friendly temperament make them very easy to handle. Many owners in the UK use them to keep the grass down in paddocks or orchards without the damage caused by larger animals. And their size also makes them suitable for smaller areas; subject to the quality of the grazing.